Los Angeles is the center of the entertainment world. Whenever there is a big party involving celebrities and plenty of photographers, it usually takes place in Los Angeles. When you are a city that is used to catering to the rich and famous, you tend to raise the bar very high in terms of quality expectations. 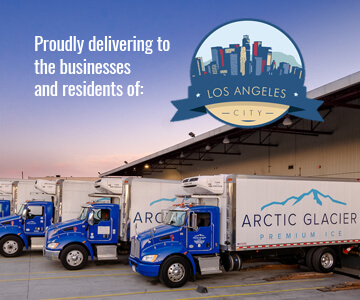 When businesses and residents in the city of Los Angeles need ice, they turn to Arctic Glacier for the highest quality ice services available. The hospitality industry is one of our top customers in Los Angeles, and we work hard every day to maintain the trust Los Angeles hotels, convention centers, restaurants, bars and night clubs have in us. We can make sure that your event is enhanced by the right amount and type of ice, along with ice sculptures to make your event special. As important as the hospitality industry is to Los Angeles, it is not the only industry we serve. Arctic Glacier ice can be found in hospitals, research facilities, food packaging plants, schools, and a variety of other businesses throughout the Los Angeles area. We have become a premier ice supplier to the city of Los Angeles because we are experts in helping your industry succeed. In order to be the Los Angeles ice supplier, we need to remain versatile. That is why we offer the widest selection of bagged, crushed, cubed, block, and bulk ice in the area. 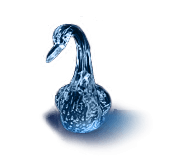 When you contact us, we will send out one of our experts to help put together a reliable delivery schedule that will make sure that you always have the ice you need. We will also make special arrangements for any events where you know you will need more ice than normal. We also do emergency ice delivery at any time and for any occasion. 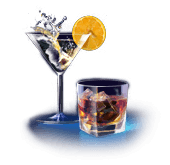 If you realize you are getting low on ice and still have hours to go before your night is over, then all you need to do is call us and we will be there as fast as we can with the ice you need. Our refrigerated trucks make sure that your ice arrives intact and ready to be used. We can also set up ice delivery for your catered event as well. We help you with the planning process and then make sure that you get the ice you need to accommodate your event. We can deliver ice to your catering business on a movie set, or we can make sure that your festival or concert has all of the ice it needs. We can also deliver ice for home parties and gatherings taking place anywhere in and around Los Angeles. 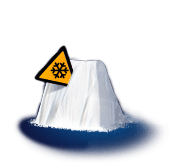 At Arctic Glacier, we pride ourselves on enhancing our professional reputation every day of the week. Whether you have an event at a large auditorium or in your own backyard, Arctic Glacier is the only ice supplier you will ever need. We will take the time to understand your needs and set up a delivery schedule that makes sure you are always supplied with ice. If you ever run out and have an emergency situation, then all you need to do is give us a call and we will be there. We are the ice delivery solution for everyone in Los Angeles.